The most original presentation award for breakfast, in my travels, goes to Sanctuary Beach Resort in Marina, California, right outside of Monterey. The food is brought to your cabin by golf cart (no cars within the resort). A picnic in front of the fireplace for breakfast. This entry was posted in A Little Bit of the Everyday and tagged Breakfast, California, Lodging, Monterey, Photograph, postaweek2011, Sanctuary Beach Resort, Travel and Tourism, weekly photo challenge. Bookmark the permalink. The best part is wondering what’s inside? Is there a gooey cinnamon roll? A moist blueberry muffin, or perhaps a oatmeal raisin cookie? Oh the possibilites. And I know there’s a pot of tea just waiting for me on the kitchen table! Delicous!! Thanks for the pingback e! Thank you and Happy Thanksgiving to you and your loves ones. It was a simple breakfast that I’ll always remember. Have a wonderful Thanksgiving too. Thanks so much for the pingback, and visit to my post. Your breakfast looks pretty darn good! The presentation made it so special. 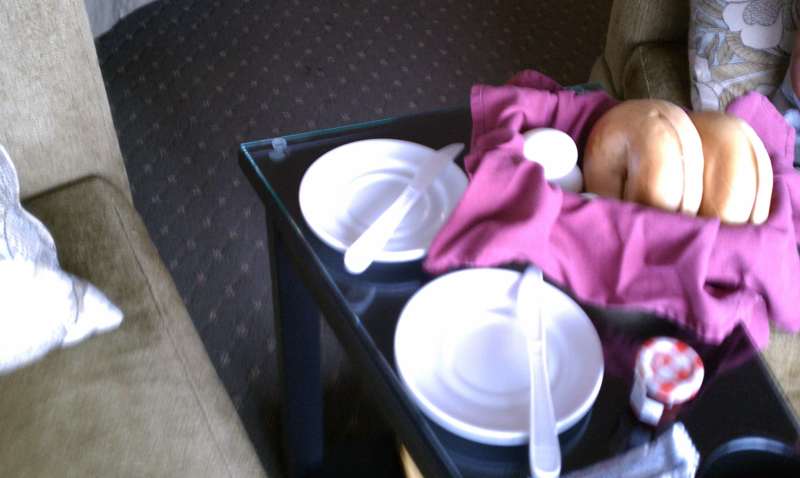 I need someone to deliver breakfast to me. In front of the fire is great, especially now winter has come to my neck of the woods. Thanks for the pingback! Have a great week. I love bagels… cinnamon and raisin with a large cup of coffee for a weekend breakfast. 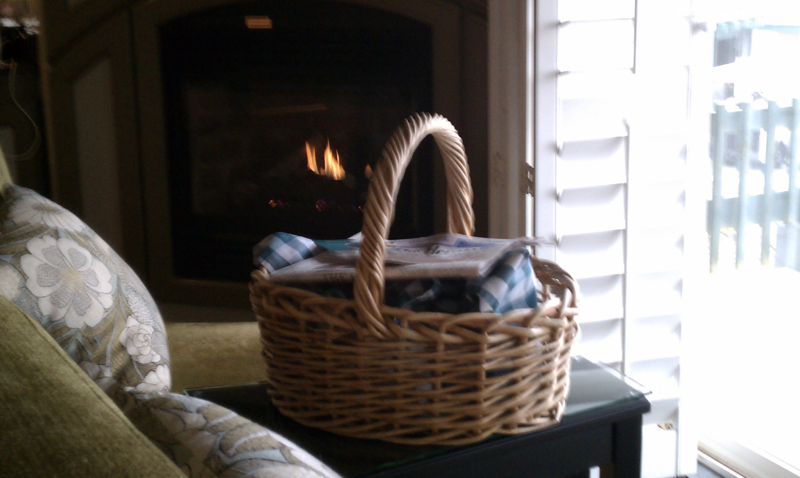 It looks just lovely in a basket by the fire. Ummm…cinnamon and raisin, I like those too. It was a foggy, very cool morning, so that little fireside picnic breakfast was just right. Thanks for the pingback FrizzText! Much appreciated. Yes! Bagels and coffee in the morning! Delicioso. One of the most serene places I’ve been to, and the basket also had a bowl of fresh cut up fruit and a thermos of coffee. Perfection! Hi, thanks for the pingback! breakfast and a fireplace. Nice combination! Thanks for the pingback Cheryl! I do love a morning bagel, but have limited them to occasionally only. Declicious, but pack a lot of calories and carbs. But who could resist???? Thanks Jake. I can hardly wait for morning here so I can have breakfast.